To capture a moment of your life so that you can hold onto it forever and come back to celebrate it when you want to. The birth of your first child, what's more special to celebrate than that? Jackie captured my son so tastefully, beautifully, peacefully when he was just 10 days old! A year later, his first birthday! You need someone special to help you hold onto those memories and Jackie is that person! A professional in her craft, patient with your kids and totally trustworthy! 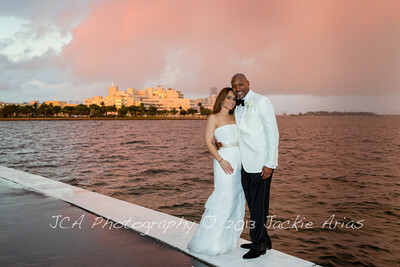 Jackie has become part of the family and I pray that we'll continue to turn to her, to celebrate our family! They say "a picture is worth a thousand words"....but when it comes to JCA photography, it is probably worth more. I have had the honor of having Jackie take pictures of my children for many special and momentous occasions, such as births, family reunions, and first communions, and she always makes them feel at ease and comfortable. Since Jackie adores children and loves to get the right shot, she finds a balance between taking beautiful pictures and letting the children's true colors shine through. In the end, she provides you with a masterpiece and something memorable to cherish for years to come... and a thousand memories captured with a still image. Her work is priceless! We were blessed to be introduced to Jackie, by some dear friends. After researching the photography market, for our wedding, we found that Jackie's work doesn't compare to any photographer we interviewed. The quality of work that Jackie produces, is second to none. Not only does she have a unique eye, she gets so in touch with what your feeling during a shoot, that the results are beyond your imagination. Jackie, & her team are a true class act. They're patient, creative, sensitive and thorough. Thank you for making our special day, such a great experience. Thank you for giving us a lifetime of memories, that are "pictured so perfect." Jackie's work and craftsmanship are remarkable. The attention she gives to detail, and particularly to the story that the images will tell, speaks highly of how personally vested she is in her work. We have worked with her a few times and each time were humbled and in awe of her artistry. I have a special needs daughter and I needed someone who would take their time in talking my daughter through a photo shoot. 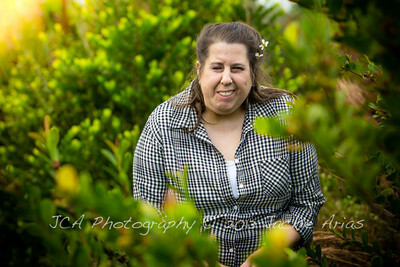 Jackie made my daughter feel comfortable in a outdoor setting and took beautiful natural pictures of her showing her inner beauty. Not many photographers would do this but she did this with professional loving care. I will use her again for updated photos of my family.